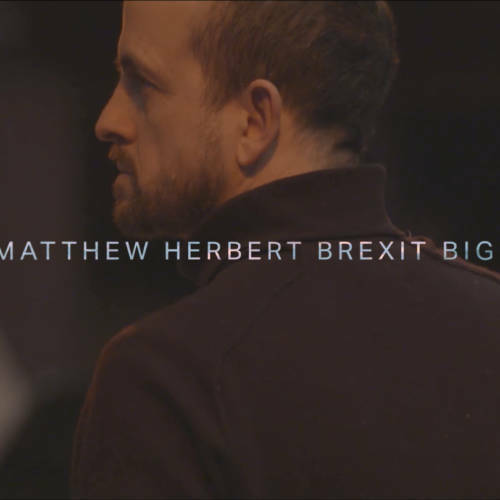 On 29 March, the day the U.K. is scheduled to leave the European Union, the Royal Court Theatre welcomes Matthew Herbert and the Great Britain and Gibraltar European Union Membership Referendum Big Band to launch their album The State Between Us with two special live performances. Made in collaboration with over a thousand musicians and singers from across the EU, The State Between Us began as a reaction to the triggering of Article 50 and the dramatic shift in the national story that began in June 2016. Over the course of the next two years – against the backdrop of a relentlessly challenging news cycle and via large-scale recording sessions abroad – something unexpected emerged. The State Between Us is an album that contemplates what it means to be British now. Lyrics include words by Britain’s greatest living playwright Caryl Churchill, Percy Shelley, John Donne and various abusive members of the public and the secretary general of UKIP. Its sixteen tracks reflect a journey on foot across Great Britain (and beyond) imagined in beautifully elegiac melodies carefully woven with site-specific recordings. World War II planes in flight rub against Ford Fiestas being broken down into their component parts; the loneliness of a cross-channel swimmer follows a single cyclist riding around Chequers. Here, the evocative sounds of empty harbours, and factories being demolished, of ancient trees and the calls of soon to be extinct animals ebb and flow through music that poses one hugely significant question – Where’s Home? – and leaves the listener with one resoundingly hopeful answer: You’re Welcome Here. Find out more about Matthew Herbert’s new album here. Supported by the British Council and PRS Foundation. "What brought the audience cheering to its feet at the end… was the metaphor for human solidarity presented by all those joyous musicians"